This is both a new thing and an old one. When you’re role playing, you edit as you type. You make sure it’s what you mean to say and that everything is spelled correctly. It makes less work for the person who has to put it all together to post. Switch from going to that to writing an entire work before you edit. You go from a few lines to several pages that need combing over. It is a daunting thing. To force cohesion on a large body of work is off putting at times. It’s the work of writing, not the dreaming. It’s where you ready the work to meet the demands of readers. I will be full blown editing a work in the coming days. It will be a first time for me. But I seek to make it not the last. 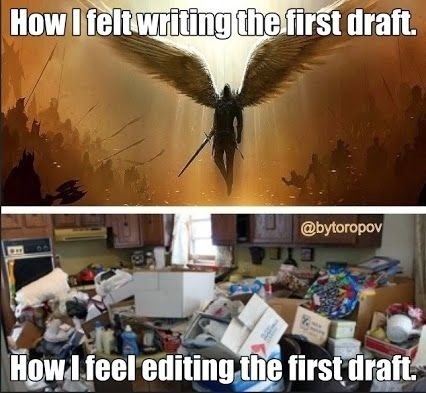 Editing is the worst part of the writing process for me. But still, very necessary.